Prior to its opening, not many in the concert circuit had sanguine expectations for the Ambassador Auditorium's future. It was, in fact, assailed as "Armstrong's Folly," an enterprise headed for disaster. Indeed, the entire project could easily have fulfilled that dire prophecy were it not for the help it received from a source in which Armstrong was placing all his faith for its success. He knew, as the critics did not, that he had support from someone who could not be resisted. Early in 1973, while the auditorium was still barely rising out of the ground, Armstrong had said to me: "We're going to have a gem here, a perfect concert hall, so we should have a superlative maestro and an orchestra to inaugurate it. Who shall we get?" Never having been involved before in a concert series on such a grand scale, I confessed I wasn't exactly certain. While we both loved music and played passably well, neither of us was exactly a musicologist. Nevertheless, we knew enough to realize that great orchestras were booked years in advance and that the two years or less we had was precious short notice. We had to move fast. So, despite our rather limited acquaintance with the leaders in the concert field, we almost literally barged in on the world's foremost conductor of the world's greatest orchestra, the legendary Herbert von Karajan. Von Karajan was the Austrian maestro who had been conductor of the Berlin Philharmonic since 1955, after heading the La Scala Opera orchestra in Milan for seven years. A few questions convinced us that he was the man for us, the most renowned musician to inaugurate what we hoped would be the most equally renowned concert hall in the world. Through mutual friends we made an appointment with him and flew to Karlsruhe, Germany, where he was appearing. A striking-looking man with a leonine countenance, von Karajan warmed toward us at once in our initial talk. We made a date for lunch the following day, our hopes high. When we met, we stated our case; the interview stands out in my mind as a minor classic. We told him we wanted to book his orchestra into our new cultural center. Von Karajan cocked his head and pursed his thin lips as he listened. "Of course," I went on, "the auditorium is not yet completed, but The maestro stared at us, a puzzled look on his lean face. I fidgeted in my chair. "Well, no," I answered, "not yet, but it will be in a year and a half." Von Karajan, more amazed, repeated: "A year and a half?" I glanced somewhat uneasily at Mr. Armstrong, who was beaming at von Karajan. Totally undisturbed, Mr. Armstrong smiled his benevolent smile and said to him: "You tell us when you can come. The auditorium will be finished." Thinking back, I can see how wildly ludicrous it all must have seemed. Here we were in Germany, talking about bringing over a great conductor and a great orchestra to play in an auditorium that wasn't there, and blandly asking him to set a date. Yet so total was Mr. Armstrong's confidence, so potent his persuasiveness, and so appealing the picture we painted of the great cultural center, that von Karajan became convinced. He studied his calendar, trying to shift dates. But when he was available, the orchestra was not, and when the orchestra had time, he did not. Regretfully, he informed us that it would be impossible for him to come. "Maestro," I asked, "in your opinion, who is second to you in the world as a maestro?" "There is no question," he replied at once. "Second to me is Giulini." "Oh," I said, glancing at Mr. Armstrong. "Is that right?" I had never heard of Giulini and neither, I was certain, had Mr. Armstrong. "Absolutely," Von Karajan was saying. "He is a great artist." Tentatively, I asked: "And where is he?" Von Karajan told us: "He has just taken up the baton of the Vienna Symphony orchestra. Makes no difference. You get Giulini. He is the greatest maestro in the world, except for me." We made several telephone calls; learned Giulini was in Paris and flew there. By that time, we had filled in the gaps in our knowledge, learning that Carlo Maria Giulini, then fifty-nine years old, had made his debut as a conductor in 1944 and had won considerable renown in the musical world, especially in Italy and England. In Paris, we called his representative, explained our mission and he agreed to meet with us at the St. Regis, a small but exclusive residential hotel not far from where we were staying. Almost from the moment we met in the hotel's salon, we knew our search had ended. He was a beautiful man physically, with sweet, sensitive features. And we learned very quickly that he was beautiful within as well. He was a deeply religious man who saw in Herbert Armstrong all that the things of the spirit represent to him; and Mr. Armstrong saw in Giulini all that he wanted to see in the person who would grace the auditorium, which would be a house of God. "Believe me, the building will be finished." "What about the acoustics," Giulini insisted. Understandably, he was concerned about being the first conductor to play in an untested hall that just might turn out to be an acoustical disaster. "They will be perfect," said Mr. Armstrong, smiling benevolently at the maestro. "I don't know. But they will be perfect." Giulini asked no more questions. He agreed to come. The evening of April 7, 1974, was one of the most brilliant in the memories of concert-goers in the West, if not the entire nation. The auditorium was ready, and it was perfect, though only three days before it stood in a wasteland of dirt and stones. By opening night, after tireless work by gardeners, the landscaping had been completed. Maestro Giulini could scarcely believe it; he called it a miracle, and in a very real sense it was. Because Mr. Armstrong's faith was perfect, the building was completed and it was right. Everything came together with faultless precision, as he had known all along. There is always resistance when one seeks to undertake a new, grander but untried effort. Resistance came from the Los Angeles Philharmonic Association,* which, understandably enough, was not anxious for a competitor so close by. The association has a concert series and a civic light opera season, among other offerings. In an effort to make the auditorium a reconciler and not a divider, I had gone to the association with an unusual offer. If its officials would, at no cost to them, help us with our series, we would contribute $250,000 a year to their organization. The new series, I proposed, would be co-sponsored, with the billing: "The Los Angeles Philharmonic Association and Ambassador College present..." Even though we offered to pay for the artists and everything else connected with the series, the association not only refused our offer but tried to convince us to abandon our idea. Argued one executive: "There is too much music, too much culture already in the community." Ernest Fleishmann, the association's executive director suggested patronizingly: "If you must go into the music business, why don't you stick to youth orchestras?" I bridled. As the interview continued, more unkind things were said about our proposed series. Originally, when I went into the meeting, I had planned on a maximum of twenty performances. But at each putdown, I mentally raised the number of events by five. * Resistance came from yet another area. When the 1975 series was announced, a rabbi, noted for his radical stance on issues, charged that the Church and the foundation were launching a grave assault on Judaism! In radio broadcasts and newspaper interviews, he urged a Jewish boycott of the series. His reasoning, as I gather it, was as follows: Jewish parents attending the concerts with their children would see a lovely campus, have their cars parked by polite, well-groomed Ambassador College students, sit in a splendid hall and view all around them other well-spoken, well-dressed students. On the way home, the parents would turn to each other and ask: "Why can't our kids be more like that? Maybe we ought to send them to Ambassador College." Then, of course, they would be converted. The situation may sound funny but it was serious. When I left, I counted the insults, multiplied — and wound up with sixty-five events. But where would I get them? As a tyro in the field, I plunged in where more experienced persons would not tread. Instead of asking managers, who would have refused out of hand by citing clogged schedules, I telephoned many of the artists themselves and explained what we were trying to do. I got some instant acceptances. The stars instructed their managers to conclude arrangements. I plunged on, not knowing it couldn't be done but knowing it had to be done to fulfill the commitment Mr. Armstrong had made from the stage. Within eight weeks, I had contractual agreements with sixty-five of the world's greatest artists. Multicolored brochures were enough at the time to convince me to call Israel for help to counteract any adverse influence. A former Israeli consul general came to Los Angeles and spent some time in the Jewish community refuting everything the rabbi was saying. being made ready for the printers and machinery started for the sale of subscriptions and individual tickets. That first series pre­sented Luciano Pavarotti, Joan Sutherland, Yehudi Menuhin, Valery and Galina Panov, Marilyn Horne, Shirley Verrett, and the Berlin Philharmonic Octet. Among the many others was Vladimir Horowitz, who came to the West Coast for the first time in a quarter of a century to highlight our first season. Concert-hall managers in California had besieged the great Horowitz to appear, offering him great sums and virtually anything he wished, but he had refused them all. Some months earlier, the other legendary virtuoso, Arthur Rubinstein had played from our stage. And thereby hangs a story. Neither Mr. Armstrong nor I had ever met the great pianist before. Eager to bring him to our hall, we had made him an offer: His concert would be free to the public, and in return the foundation would contribute $100,000 to the State of Israel. On a cold night, just after Christmas of 1974, Mr. Rubinstein, Mr. Armstrong, and I met for dinner at the Regency Hotel in New York. The evening began unpromisingly. The pianist was then eighty-seven years old and our Pastor General eighty-two. Both men, though sweet and benevolent, are also dynamic personalities with a great deal to say. Thus each has a tendency to dominate a conversation. Both, too, are excellent raconteurs, eager to spin their tales. Finally, each is somewhat hard of hearing. Given these characteristics, a situation existed in which neither man listened too hard while the other was talking, and hence neither was especially responsive to the other. A coolness settled over the table. Interrupting a short silence, Mr. Armstrong told Mr. Rubinstein that if he came he would be given the opportunity to play not only in the most beautiful auditorium in the world but on one of America's two finest pianos, both of which the college owned. Looking up, he asked Mr. Armstrong sternly: "Sir, are you a professional?" Mr. Armstrong, beaming said: "No, I'm not, but you are and you will agree after you have had a chance to play them." He explained they were Steinways, carefully selected by him and purchased in Hamburg. Now Rubinstein became distinctly annoyed. "Sir," he said, "I don't like that kind of talk from nonprofessionals." Mr. Armstrong said he understood, but once again repeated his assertion. With the pianist continuing to bristle, I felt it wise to change the subject. "Would you like some champagne?" I asked them. Mr. Rubinstein brusquely declined but Mr. Armstrong accepted. When the waiter began pouring Dom Perignon, Rubinstein noticed the bottle and said, "I'll have some, thank you." To me he said: "That is all I drink; I was afraid you might order something else." That broke the ice somewhat and for the rest of the evening the conversation became less strained. Mr. Rubinstein agreed to perform. A couple of days before his concert, I met him in front of the auditorium and escorted him inside. While he was enormously impressed with the grounds, the building and the foyer, the moment he stepped through the doors into the theatre — catastrophe! "This is terrible!" he exclaimed. Startled, I asked what he meant. "The carpeting, the upholstery. It's too plush. The sound will be absorbed. It will never do! Oh, I should never have come.... How could you have good music with this!" "Maestro," I reassured him, "I know what you think, but please believe me. The acoustics are absolutely perfect. Please don't worry about it." I followed him down the aisle toward the stage, trying to calm him but his agitation grew as he progressed. I could see he didn't believe a word. "Let me see the pianos," he grumbled and stormed up to the stage. He ran his Fingers over the keys and the miracle happened. He played chords on one piano, and then literally ran to the other. For many minutes he scurried between them, playing on each, his face mirroring wonderment and pleasure. He was like a child in a candy store, going from one delight to the other and unable to make up his mind which to choose. Finally he said to me: "It's never happened in my whole life. Never have I heard two finer pianos!" Finally he selected one and insisted on using it at a benefit performance he was giving with the Los Angeles Philharmonic the following Tuesday, much to the chagrin of the association, as Ambassador would have to receive credit for use of the instrument. But Rubinstein was adamant: if he could not have the piano, he would not play. The association, of course, agreed and the piano was shipped. Rubinstein's concert at Ambassador the day afterward was a brilliant musical evening that will be remembered for years to come. Afterward, Rubinstein wanted to purchase one of the pianos. Mr. Armstrong held out his arms to the maestro and told him: "The piano is not for sale. But we will place a plaque upon it, honoring it with your illustrious name. And any time you wish to use it, whatever the place, we will ship it to you." That piano stands in our concert hall, bearing the name of one of the great artists in the history of music. And it goes whenever and wherever Arthur Rubinstein calls for it. As Mr. Armstrong had intended, the artists who have appeared at the concert hall have reflected the highest expression of the human spirit. Listing them is — a roll-call of greatness: We have had Mistislav Rostropovich, the legendary Russian cellist; opera stars Beverly Sills, Robert Merrill, Regine Crespin, and Pavarotti, who has returned again and again; the Norman Luboff Choir; classical guitarist Andre Segovia; violinist Vladimir Ashkenazy; stars of the American Ballet, the New York City Ballet, the Dance Theatre of Harlem, Royal Ballet of Flanders, Los Angeles Ballet, and the Royal Winnipeg Ballet; pianists Jose Iturbi, Andre Watts and Lazar Berman; mime Marcel Marceau. We have had the Tokyo Symphony, Chamber Music Society of Lincoln Center, the Philadelphia Orchestra with Eugene Ormandy, the Guarneri String Quartet, the Utah Symphony, a pop" series featuring Count Basie and his orchestra, former D'Oyly Carte performers in an evening of Gilbert and Sullivan, the musical spoof artist P. D. Q. Bach, and the New England Conservatory Ragtime Ensemble. We have had lectures by Abba Eban, Israel's former foreign minister; former C.I.A. Director William Colby, baseball great Hank Aaron, astronaut Scott Carpenter. The late Bing Crosby, as well as Gene Kelly, Bob Hope, and pearl Bailey have appeared in television specials produced from our stage. The National Theatre of the Deaf has given full-scale opera presentations. The incomparable Los Angeles Chamber orchestra has become our resident musical ensemble. The glorious triumphs of our concert series enabled us to explore still another avenue to bring to public attention Herbert Armstrong's vision of the human potential. I knew there were many persons throughout the world who did not hear our radio and television programs, read our literature, or attend the Ambassador Auditorium performances, and I felt compelled to offer them the same cultural and intellectual experiences. Armstrong agreed. As a former magazine man, he would be turning once more to the printed word. By the end of the 1970s he had established two new important ventures: Quest magazine, and Everest House, a general interest book publishing company. Quest, initially called Human Potential, was begun first in 1975 as an international journal of excellence that would be entertaining and instructive, and at the same time inspire by presentation of feats of creativity, imagination, daring, and accomplishment. It would never settle for second best but would search out people, both famous and obscure, whose achievements — advanced the human spirit. It would be the perfect complement to the concert series, another voice celebrating areas where mankind's spiritual resources find expression in out-of-the-ordinary courage and commitment. Robert Shnayerson, one of the most respected names in magazine publishing, was appointed editor. Shnayerson, formerly of Time, Life and Harper's, had become "tired of journalistic myopia" and preferred "to let other editors drag readers through cesspools of mediocrity." Quest explores man's limits on the most remote frontiers of the human potential — from tiny molecules to vast galaxies. It is devoted to the finer achievements of man and offers a fresh look at the human condition. The magazine regularly features adventures in human conquest like epic rescues, solo voyages, business comebacks, and human stories behind great inventions. Embodying the very best literary characteristics in the modern world, Quest ranges all the way from panoramic articles on international themes to the individual case of the simple stonecutter. Readers who are constantly inundated with a daily diet of downbeat, cynical, and doomsday news from the normal channels in the media sorely need this source of positive inspiration. Its first issue, published in 1977, described how eleven young men and women climbed to the top of Mount Everest in the Himalayas, the highest mountain peak in the world. Subsequently' it explored the unceasing Quest of a physician for a cancer cure, famed Henry Moore's secret of longevity, tennis star Virginia Wade's battle against self-defeatism, and the beautiful story of an eighty-three-year-old lady who resumed her career as a blues singer after a fifty-year hiatus and wowed them in New York City night clubs. 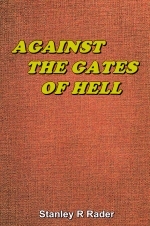 In late 1977, with Quest enjoying a superior reputation both among its peers and its worldwide audience, the AICF made plans to enter the book market with the founding of Everest House Publishers, a general trade house to be headed by another top-notch professional, Lewis W. Gillenson, as president and editor in chief. Gillenson had formerly been the president of Thomas Y. Crowell Company for five years; vice-president and editorial director of Grosset & Dunlap, where he began its original adult book publishing program; and vice-president and editor of Esquire Books. He had also served as the top editor of Coronet, Cosmopolitan, and as senior editor-writer of Look magazine. In November 1977, Everest House made its debut on the New York publishing scene, sharing spacious quarters with Quest. The top executives had been recruited from other leading publishers. Everest House's first list of twenty-three titles, scheduled for publication that fall, included The Terrors of Justice, an account of the Watergate tragedy by Maurice H. Stans, former secretary of commerce and treasurer of the Committee to Re-elect the President; Who Was Jack Ruby?, an investigative report by Washington reporter Seth Kantor; and Color in Plants and Flowers, which won a New York Academy of Sciences award. Subject matter has varied greatly since that initial list, with outstanding titles such as The Solar Age Resource Book and the language series by Charles Berlitz; books on sports, art, money management, and popular psychology, as well as several first novels among the offerings. The 1980 list included The American Encyclopedia of Soccer, the definitive reference work on the American soccer scene; Barbara Cartland: Crusader in Pink, a biography of the prolific and immensely popular writer of romance fiction; My Savage Muse, a biography of Edgar Allan Poe, "as he might have written it," by Bernhardt J. Hurwood; Danse Macabre, the first nonfiction work of Stephen King, best-selling author of Carrie; and Living Jewish, by Michael Asheri, which in two years has earned its place as a classic backlist title — an inventive explanation of the meaning of traditional Judaism. They Call Me Assassin by Jack Tatum, a hard-hitting football player, was the smash sports book of the 1980 season. Everest House continues to stress quality and originality in its fiction and nonfiction. Its only criterion, says Gillenson, is excellence.